Observe the natural world for 20 seconds, and you will be in awe at the perfection of it all. Somehow, as humans, we sometimes feel like we are out of step with that perfection, that somehow, the orchestrating wisdom of the universe left us to our own devices, and that we are somehow less than perfect. Looking at the darker aspects of what we have created as a species can be disheartening, and lend some evidence to this deeply seeded* belief. The world we all inhabit today is clouded…between GMOs, pesticides, herbicides, artificial flavorings, an over abundance of antibiotic use, excessive sugar consumption and many sketchy ingredients found in our food & factory farming practices, there is radiation spewing from Fukushima, fluoride in our water, constant bombardment of EMFs (electro-magnetic frequencies), advertising & “programming” on TV & online that constantly keeps us in a perpetual state of fear & anxiety. It is difficult for our bodies, mind & spirit to process & know what to do with all this “stuff”, to discern what is ours and what is part of the collective consciousness. We are sick & tired and unable to think, feel & see clearly, not to mention forgetting how to embody the fullest expression of Who We Are. We are suffering from Dis-eases of Disconnection~ from Nature & each other. It is more important than ever, that we become the embodiment of conscious evolution on this planet, and to get back into resonance with the natural world. We as individuals are powerful – we can change the trajectory of the direction we are headed, the good news, is that all we have to do, is start with ourselves. Let us begin to look at the microcosm that is our individual selves, and clean up our inner pollution, our toxic thoughts & beliefs and our habits that are contributing to a less than sustainable future. It is time to look at the items that you purchase, the products you consume (including music, TV, movies) and ultimately what your dollar & attention is funding. Every choice you make counts, make it a conscious one. Having balance & awareness in all areas of our lives is essential in order to cultivate a happy, healthy life. Not only is the food that we use to fuel our day important, but the thoughts we think, the beliefs we hold, the spiritual practice we have, the physical activity we engage in, the work we do in the world, and the relationships we engage in, are all contributing to the energy of Who We Are, and ultimately the planet we call home. In this program, we take a deeper look at all of these areas life. Where is the imbalance? Where are you out of alignment? How can you engage more deeply? What do you need to let go of? What new habits can you adopt? 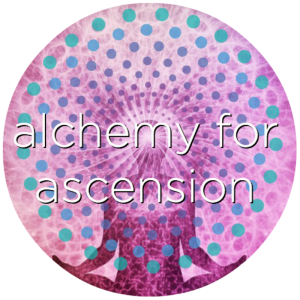 Maybe your diet could use an upgrade & you are looking to incorporate some new foods…or you just want to experience more synchronicity and magic in your life. In this series we will address the many areas of wellness from a holistic perspective. noun: a seemingly magical process of transformation, creation, or combination. We will work with various forms of plant medicine…flower essences, essential oils, whole foods, super foods & herbs. By using & ingesting these therapeutic plant allies, we are creating resonance with our frequency and that of the Earth. Radiant Vitality, Alignment, Expansion and Wellness often result, as that which is dissonant to Who you Are, naturally falls away. Side effects may include bringing to you a deeper sense of spiritual connection, peace, clarity & purpose. Energy healing is integral to the work we do together, as it helps to move through & release any blocks, chords & imprints you are holding, while illuminating & balancing your energy field. Each session can be tailored to your specific needs – we will create a custom program just for you, depending on the concerns that you have, and what you’d like to work on, and what comes up for you as your journey unfolds. You want to start taking better care of yourself, but you don’t know where to start. You want a signature essential oil blend designed specifically for you.. Whether it is a signature scent, an energetic blend, or designed for more therapeutic purposes, we can co create a blend just for you. You’d like to revamp your medicine cabinet with some natural remedies for the chronic pain you are experiencing or your trouble sleeping at night. You longing for a deeper connection to the magic, wisdom & healing power of Nature. Whatever it is, we will work on creating a holistic (Mind, Body & Spirit) protocol to address your concerns, educating you every step of the way, so that you have a firm grasp on how to take better care of yourself, and can easily assimilate & integrate the information & get you on your way to living a life that you love, with a body that you are happy to inhabit, in a world that supports the highest expression of Who You Are. Dates & times for this series to be announced. It is about time you start feeling like it.